Doctor Who: Heaven Sent - The Best Of Series Nine | Warped Factor - Words in the Key of Geek. After Heaven Sent finished top in our multi-contributor series nine poll, Stacy Embry takes a closer look at just why it was so aptly named. Ernő Rubik invented his famous cube in 1974. It would be the following decade when it really took off, and the year it was everyone's Christmas present I tried one for about ten minutes. Personally, I just felt no compulsion to solve it, I found the colors garish and the movement simple. I never touched one again. Clearly, it would be a fantastic triumph to solve one, but the commitment it took--the strategy and patience, wasn't worth the investment to me. After seeing the preview for Heaven Sent I felt the same way when anticipating this episode of Doctor Who. But having bought the season, I went ahead and watched it anyway. From the bruised hand pulling the lever at the control board as the Doctor teleported, I was hooked. Even knowing that the unrelenting sameness of one voice was all I would hear, I immediately sat forward feeling the tension, finding something that can't even be called television, but ART. What is art? In this context, it is a captured moment of aesthetic transcendence. Fancy words... but there isn't a simple way to say that art is personal, each of us have our own definition of it, and it's quicksilver when actually captured. It is something that goes beyond entertainment to a truth that touches and uplifts our very soul. Art inspires and encourages us to be our better selves. Universally, we see it in fine art, music, dance and even media. 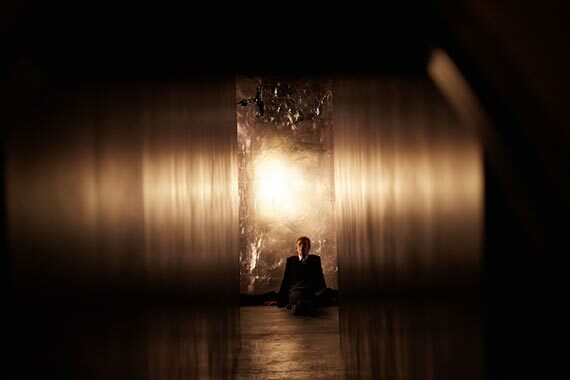 I have no idea if you, the reader, even agrees with me, but I have never had a television experience like Heaven Sent. Not to over claim, but brilliance is often underrated in its own time and this piece of art has already been discussed as if it were mere television. As a performance medium, television rarely transcends the small screen, but I think Doctor Who comes closer to doing it more often than most. Of course, the show is a collection of hits and misses, but even in its highest highs I believe no episode in its entire run has approached this mind-bending artistic endeavor. Every piece or Heaven Sent had to work seamlessly. From script to production, directing to acting, post to editing, this piece had to flow without hesitation, and it did. Impossible to deconstruct as fine art is transcendent art, this story only engages more in re-watching. The layers, the script, the pairings of motifs from all aspects, saturates the senses. I'm not promoting a white canvas modern art fallacy, per say, but I hope that whether people agree or not, they can see this episode was both new and thrilling, and is very probably unmatchable in every way. 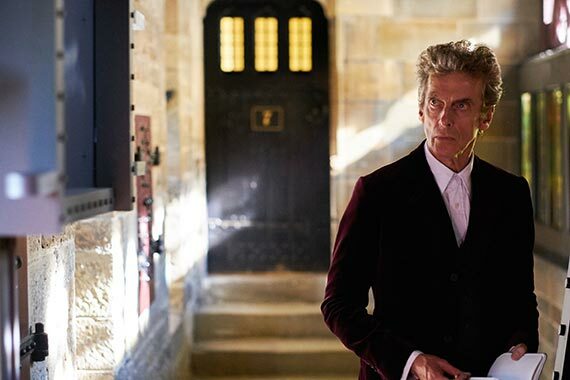 The Doctor Who Extra offers Steven Moffat, actor Peter Capaldi and the director Rachel Talalay sharing the herculean effort they took bringing Heaven Sent to fruition. Every moment showed in the details finessed. 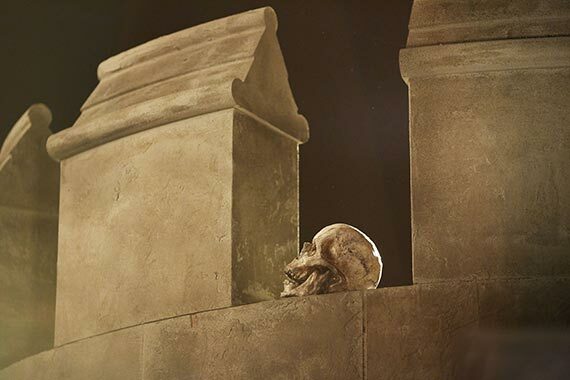 Every reverse shadow - every skull made to Capaldi's dimensions, and the seamless marriage of post-production and live action with soaring music, showed how it took teams of artists to create art. To do all this and on a television budget is miraculous. Not one element can really be singled out for examination without the puzzle imploding. Eliminate one excelling team member and the Doctor is hanging alone in ridicule, not art. But they did it, and every component worked. Every image, pause and adjustment of tension were spot on leaving the entire team deserving our applause. I have to say, it is the often-beleaguered Steven Moffat who built this arc and had the guts to create the ramp that allowed the show to fully depart our atmosphere. I am sure others will reward his fearlessness, and rightly so. He is both loved and hated for his engagement whilst juxtaposed with seeming languor, but this time the Moff really put it all out there for the viewer. We've seen good scripts made brilliant and ones left undeveloped. However, we've never seen one like this. Like it or not, you have to recognize that Heaven Sent was blindingly brilliant, different and thrilling, with a once-in-a-lifetime performance by Peter Capaldi. As I said, this was not television, but art. Risk-averse, Stacy would not even enter the TARDIS in case it suddenly set to motion. Yet, gentle reader, she feels compelled to clarify that she writes opinion or editorial pieces. By using logic and reasoning, she always hopes to coherently provoke honest discourse.